Our team is led by former Olympian and professional player Simon Gerada, his wife Melissa Tapper, who is a history making Olympian and Paralympian, together with Simon's father Joe Gerada and a team of industry-best coaches like Ashley Robinson the winner of the 2019 Victorian Open and two-time Commonwealth Games Representative. 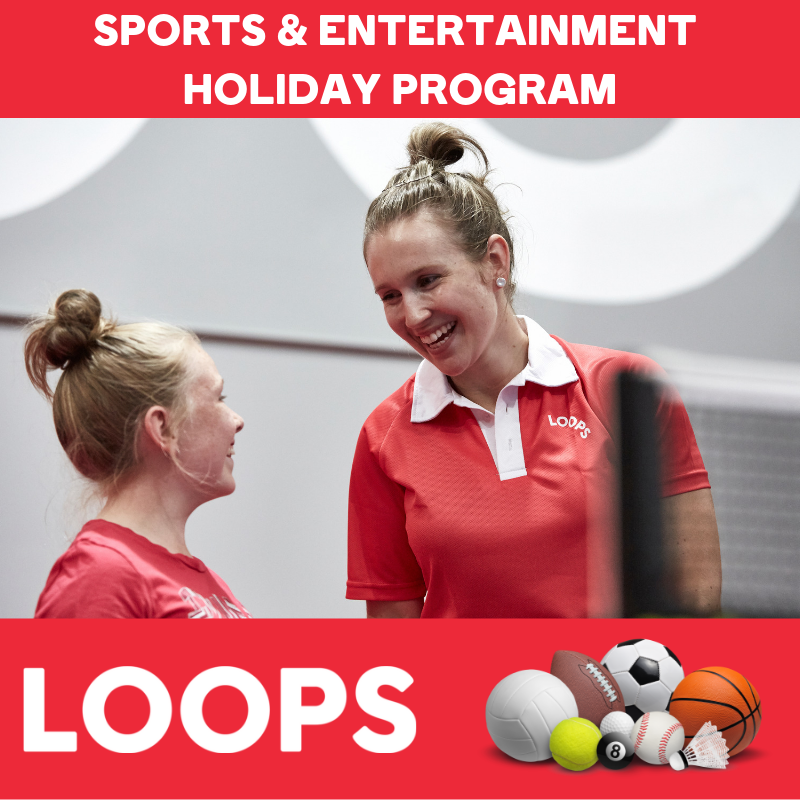 From school holiday fun to weekly mentoring and training, LOOPS programs are backed by the best in the business. Led and designed by Joe Gerada and backed by his leading team of coaches. These sessions are designed as an introduction to table tennis – helping kids with co-ordination, basic play skills and encouraging interaction with other kids, all under the supervision of an expert coach. Parents are encouraged to watch and be part of the sessions. We'll make drop off easy and meaningful with our supervised service training and hit the target practice. Kids will be entertained as they move through our circuit of hit the target activities daily. Whilst our table tennis program includes specific activities to help children understand the rules of table tennis broken down in to smaller elements. Games like, quoits, board games, and a little fun with lego building and some device games will keep a nice balance of fun through out the week. Joe Gerada has been involved in table tennis for 40 years. He loves working with anyone wanting to get better and improve their game. Joe has worked with kids for 20+ years, having coached State, National and International level players. Whether you’re a Little Champ, Senior Cannonball, or looking to become the next champion player, Joe is available to provide professional coaching specifically curated for each age group and skill level. Warms-ups include an obstacle course, Duck, Duck, Goose, Musical Chairs, In-house Bowling, and tunnel ball. Each day will include games like Hockey, Dodge Ball or Danish Handball. Our aim is to keep the kids entertained but to surround your child with professionals, to learn what it takes to win, to learn to lose and most of all implement a hard working culture. Balance fun with self awareness and program analysis. Overcome adversity and apply it to life. This has been the LOOPS model since 2009. All LOOPS coaches have unto date Working with Children checks, a qualified First AID officer will be on duty daily and to help ease your mind we'll collect all allergy details and sign-in and out will be required and monitored daly. We at LOOPS understand that you understand your child, which is why we ask for feedback. Simply email us and tell us what can be added, excluded or introduced. Alternatively challenge us and ask us WHY!